April 9, Fineko/abc.az. 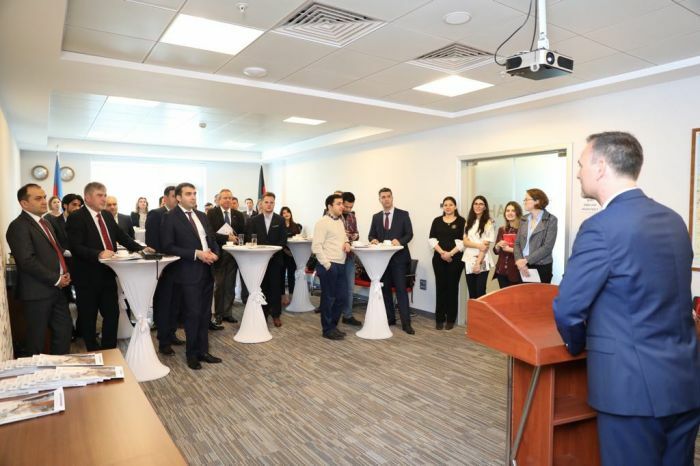 On 9 April 2019, the German-Azerbaijani Chamber of Commerce (AHK Azerbaijan) held the official presentation of its brand-new “Market Analysis Azerbaijan 2019” publication, released in cooperation with Germany Trade and Invest (GTAI). This exclusive event brought together high-level representatives of government and international institutions as well as CEOs/Directors and senior managers of German and Azerbaijani companies supporting the first issue of this unique publication with their insightful statements and was attended by selected media agencies. 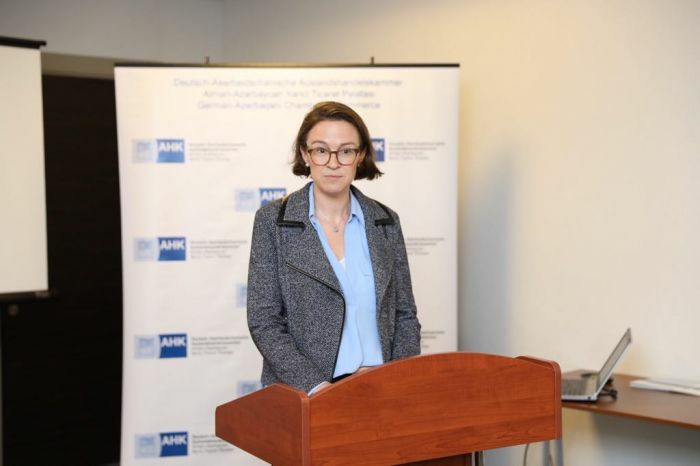 The event was opened by the welcoming speech of Mr Tobias Baumann, Executive Director of AHK Azerbaijan and Mrs Andrea Sühl, Deputy Head of Mission at the Embassy of the Federal Republic of Germany. Mrs Sühl expressed her appreciation for this project and underlined the support of the German Embassy for further similar efforts to strengthen bilateral relations between Germany Azerbaijan. Delivering a brief information about the project, Mr Baumann expressed his acknowledgement to the companies supporting the publication with their valuable statements. He also extended gratitude to GTAI for this productive cooperation and expressed his hope for further joint informative products fostering the exchange between the two countries. 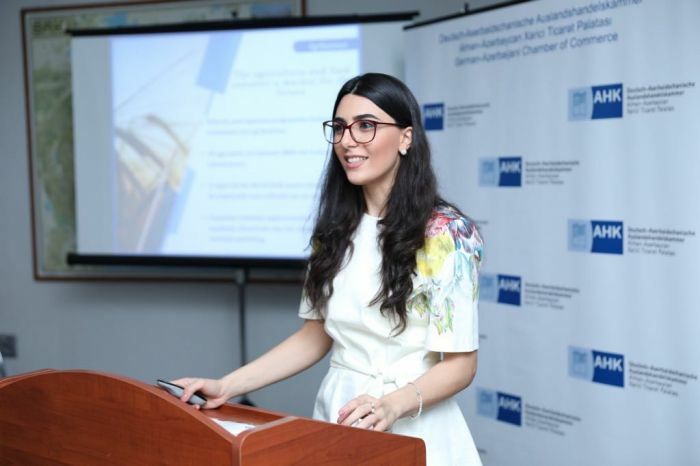 Following this, the highlights of the industries analysed in the publication were presented by Mrs Nigar Bayramli, Head of Market Analysis and Communication of AHK Azerbaijan. In addition to the presentation of the publication, the meeting entailed Q&A Session to facilitate discussions as well as to provide opportunity for networking with AHK Azerbaijan members and friends. “Market Analysis Azerbaijan 2019” publication provides an overview of the 14 priority sectors in the economy of Azerbaijan, analyses current trends and projects as well as presents opportunities in the respective industries. How are the sectors currently developing? What are the positive trends? Where are the opportunities? This study aims to provide the readers with answers to these questions and is intended as a guide for those interested in the Azerbaijani market. The issue also includes statements provided by the directors and senior representatives of leading German and Azerbaijani businesses on assessment of the business climate in the country and the current situation of their companies and projects.